Lax skin or excess fat in the chin and jowls results in a less defined profile. A double chin can appear as we age, or loose skin and excess fat in this area can be hereditary. There are now a number of high-tech, non-surgical treatment options to improve the appearance of the chin and jowls. For skin tightening and fat removal from around the chin and jowls, a combination of the Silhouette Soft Thread Lift with VASER ultrasound fat removal will give dramatic results with no need for a hospital stay. VASER Lipo is an advanced body contouring procedure that selectively removes unwanted body fat. An alternative to the harsh techniques of traditional liposuction, VASER Lipo uses state-of-the-art ultrasound technology designed to gently reshape your body. 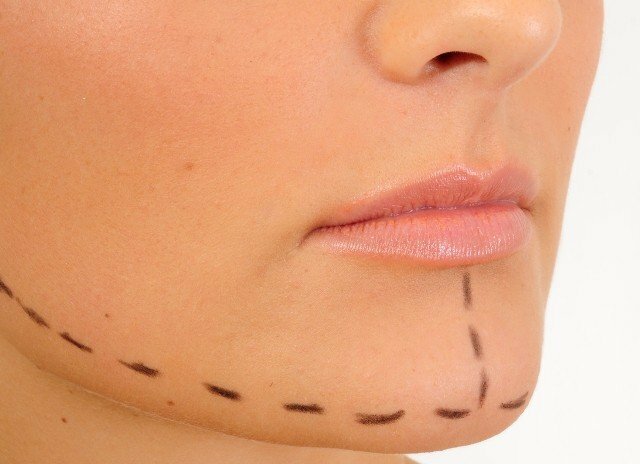 Silhouette Soft sutures can be used to lift the soft tissues of the face and neck. They offer a temporary solution to sagging tissues for patients who do not want or need traditional facelift / neck lift surgery. They offer a significant advancement in the management of the ageing neck where other non-surgical techniques tend to produce much more limited results. For general rejuvenation and fine lines, INTRAcel can be used. This is a combination of radio-frequency and micro-needling, which is very effective at firming skin. Depending on your needs we may also advise volume-enhancing fillers to help improve the appearance of this area.